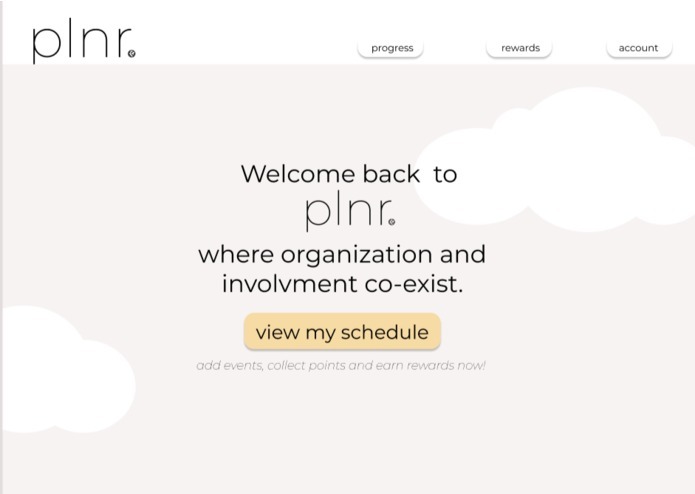 Plnr is a calendar web application that connects residents with local organizations based on their availability. Humankind revolves around compassion and collaboration, so we combined the two to maximize human potential because free time must not be wasted, it should be used to give back to others. This is why we’ve solved this problem by creating organized involvement with our website, Plnr, which will bring purpose into our busy lives. Our website is meant to be used as your Home Screen, which will act as an accessible reminder to the user. Plnr allows someone to find all the events in their location, hands-free and updated for her every day which fall under four categories, public safety, accessibility, community, and mental health, topics that do not receive enough exposure whilst correlating with our partners. Our platform helps publicize our partners’ events, such as a Speaker Series with several police officers from Toronto Police Services. Simple right? Well, to make it even simpler, we’ve integrated Amazon Alexa technology to make plnr accessible to everyone, no matter the circumstance. Now no matter what the user is doing, they will always be able to schedule in what's important to them. Whether with your voice or with our website, you will make a difference within yourself, in your community, and in this world! Worked on Amazon Alexa, product pitch, web server deployment, and assisted in UI/UX prorotyping.